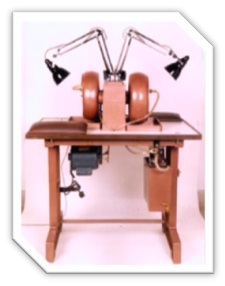 The machine is mounted on an Iron Table and is fitted with 1 h.p., single phase 220 volts, 50 cycle motor. 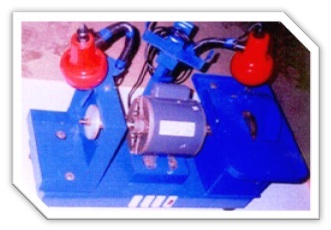 The machine is used for grinding the beads into a sphere like shape with the help of emery grinding laps. The grinding laps are prepared in the specially provided die-maker for this purpose. These laps are then mounted on the machine. The machine is started and stones are loaded. 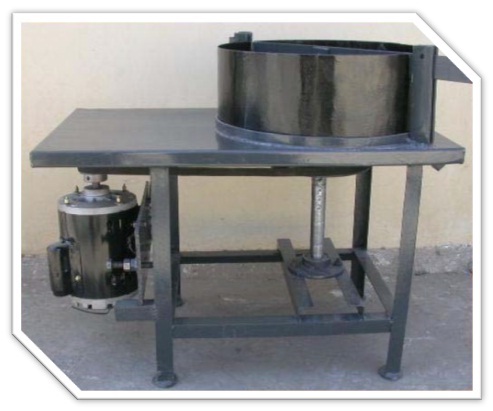 These stones then get ground to a sphere like shape which can then be fine ground into perfect spheres with the help of our model AEW-BRM, the beads rounding machine.